ATVs are a great way to get out and enjoy wildlife and scenery with your family. However, because ATVs, particularly 4-wheelers or “quads” seem safe, many don’t think to equip themselves with the right safety gear. Helmets, chest protectors, goggles, boots and gloves should all be worn to help protect against common ATV riding injuries. We’ve included some of the most common injuries below but also a video with GRAPHIC footage of some ATV accidents. If you’re bothered by footage of wrecks we don’t recommend you watch this video. Concussions – falls and even hitting ones head on the handlebars after a jump can cause concussions. Helmets can help prevent concussions and so can riding responsibly and within your skill level. Broken Bones – Another common injury from ATVs is broken bones. This can happen if you fall off your ATV, if it rolls over on you while climbing a steep hill, etc. Again, it’s best to ride within your ability level and be especially careful when climbing steep hills. Try putting more weight towards the front of the ATV to help keep the front of the machine down. Spinal Cord Injuries – Having an ATV tip over on top of you or run over you can cause damage to your spinal cord. Roll overs can also cause neck injuries too. Leg and knee injuries – often if an ATV starts to roll over from one side, drivers will use their leg to try and stop the ATV from falling. This can end up causing damage to your leg or knee in the process, especially if you’re unable to straighten the ATV again. Internal injuries – If an ATV falls on you or rolls over you, there is a chance for internal injuries to occur. Wearing a chest protector can help with some internal injuries. 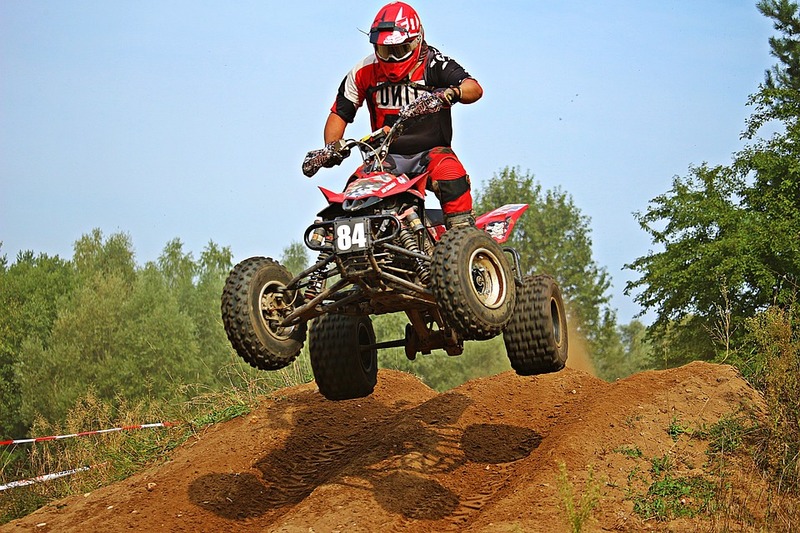 Ride safely and cautiously to avoid any common ATV riding injuries.